The benefit to writing in individual chunks about a novel I'm reading is that it gives me time to reflect on said chunks, instead of the novel as a whole. I find that it's made me a much more critical reader. The drawback is that I'm giving certain impressions of a book without yet having read the whole thing. I can only hope that the people (all 3 of you) checking out my blog realize that these are not final assessments unless it says "FINISHED" at the top. So, when I wrote earlier that I wished Christopher would reflect more upon his ex, I had no way of knowing that would happen in due time. By holding off with that part, Sullivan was able to let the issue ferment and come to a superbly written climax that ties into Christopher's newly discovered world. And when I implied that there were a few cheesy moments, I would have added the endings of certain chapters. For example, "And this time, there was nothing he could do to save himself." It's very similar to the tactics Dan Brown used in The Davinci Code. I know some people go in for such a thing, but I personally don't need a cliffhanger at the end of every chapter to maintain my interest. But I really, REALLY need to end this entry on a positive note. Because, despite the occasional slice of cheese, Sullivan's writing has impressed me. A lot. It's not only the great vocab (I admit, I've had to look up more than one of his words), it's also the risks. Far from the straightforward narrative told in the third person, Sullivan takes a lot of chances that he executes expertly. It's not just the occasional jump to another character's perspective, it's also things like in Chapter 10, when the chapter is broken up into "flashes" as Christopher wrestles with consciousness. It's also Chapter 14 with brief glances into St. John's and a handful of the inhabitants, some that don't play an overly significant part in the story, but still add to Sullivan's attempt to take a panoramic view of the the time and place. My favourite of these is the gender-switching child in Bowring Park. It is the perfect embodiment of the city's memories that Sullivan has tried to reinforce as an essential part of his tale. Then there's Chapter 15. It is ingenious. There's something so classical about his "Gan Aireactail" challenging Christopher to betray his true self, by portraying his ex-girlfriend in various scenarios. Not only does it tie Christopher's two world's together, it is also the perfect psychology of a break-up. These are not just challenges by a fantasy-world demon, these are interpersonal demons as well. It's a very clever section. I'm really glad that my efforts to do a little something different with my prose have met your approval. I really enjoy experimenting and generally having fun with not just my plot and characters and so forth, but with my technique as well. It's easy to write a cookie-cutter fantasy style, but frankly, I find that kind of boring. Mixing things up a bit not only (hopefully) keeps the reader interested and surprised, but also maintains my own interest as a writer. I'm also delighted that Chapter 15 worked for you. 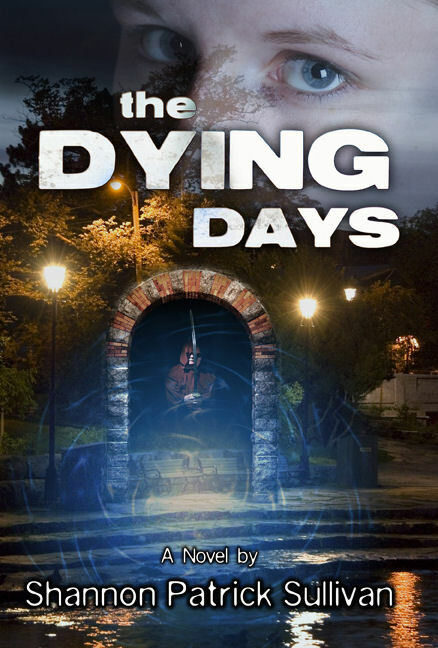 It was by far the difficult section of The Dying Days for me to write, because it was a tremendously personal chapter, drawing as it did on a lot of my own fears and anxieties. I knew it was coming from a very early stage in the writing process, and it's probably fair to say that I was dreading actually putting it down in words... so I'm really happy that it seems to have held together. I finished The Dying Days last night. And yes, the last quarter held up- but I'll blog more about that later. As for the dictionary- I hope I didn't leave you (or others) with the impression that you were overly "wordy". I've been discovering lately that my vocabulary needs some building, and so, it was a good thing. If every second word was a challenge, I'd have a problem with it it. But, it wasn't that bad. It was only every now and then that I actually brought out the Oxford Standard Dictionary. When I did, yes, you seemed to have made the right choice.